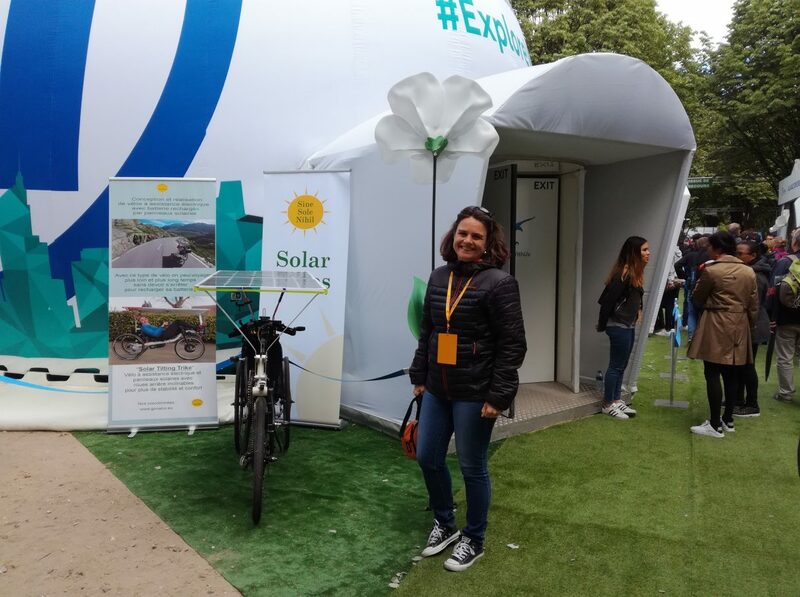 Thanks to our friend Sushil Reddy We have been invited to expose our solar bike in the Formula E-Village built around the Formula E race in Paris on April the 28th. 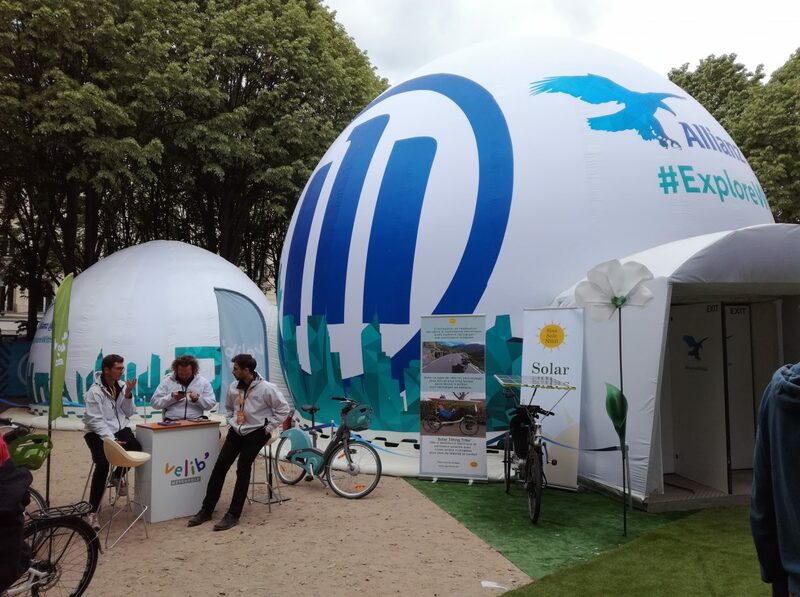 The main driver behind this initiative was to promote all new technologies that are supporting this approach around ‘Electric mobility and its long term sustainability’. 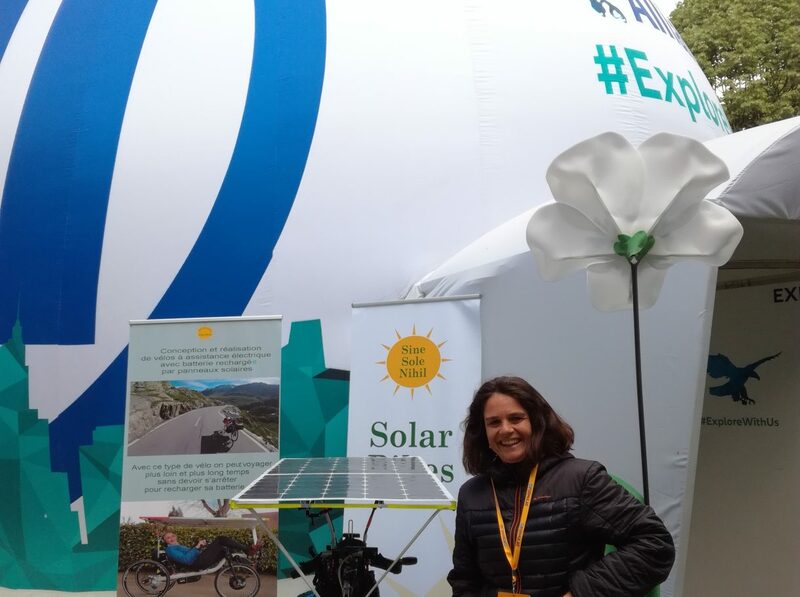 This has been a fantastic chance to present the Solar Tilting Trike (STT) and we didn’t miss the opportunity! 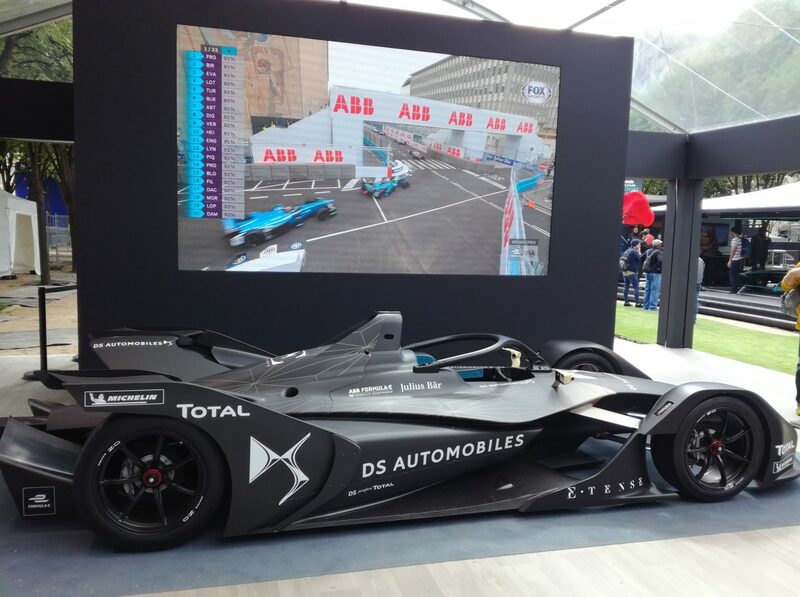 The location for the Formula E electric cars race (it was the third year in a row) is downtown in Paris at the Invalides, around the tomb of Napoleon. 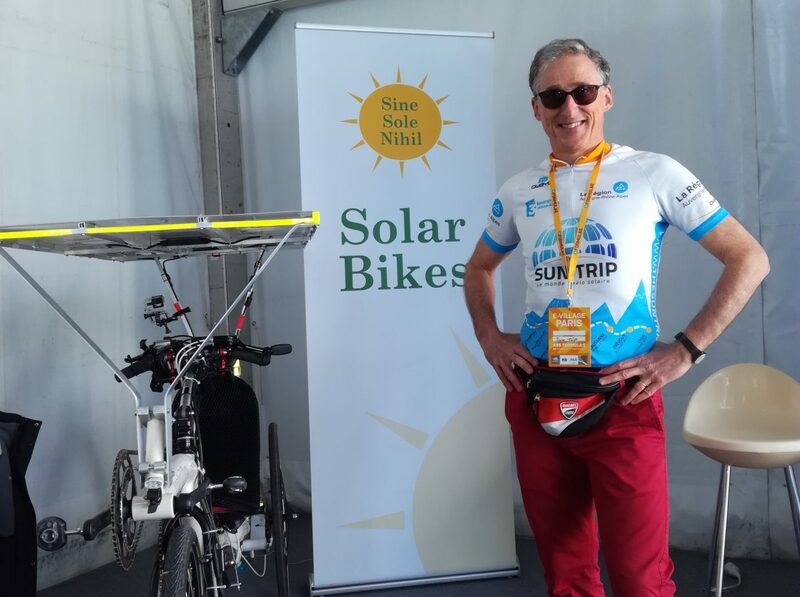 Since I had to expose the solar bike in Paris I wanted to get there…directly on my STT! 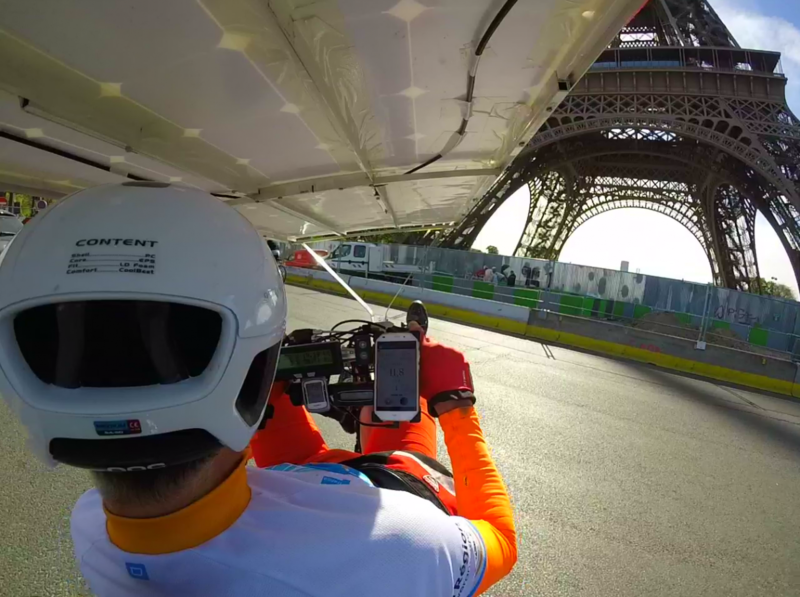 It was a great occasion to ride to Paris, where I wouldn’t normally choose to go with my solar bike: in this case it was a short (27km) trip. Here is the video along the Seine river. 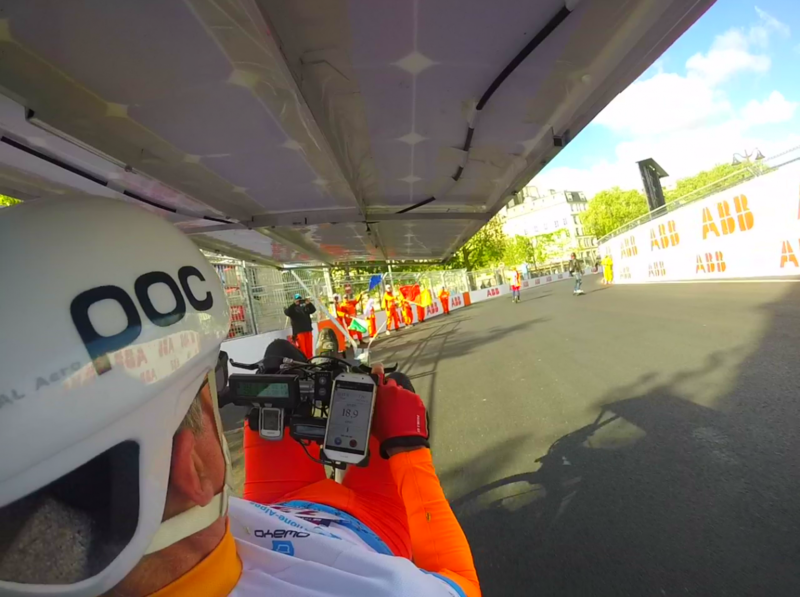 ….and here passing almost under the Tour Eiffel! Just arrived in the stand…I am proud to wear my official Sun Trip shirt! …but soon after we moved outside to get more visibility and also some solar charge! My wife Cristina was a great support with all people asking many questions…..
…and she is always smiling! 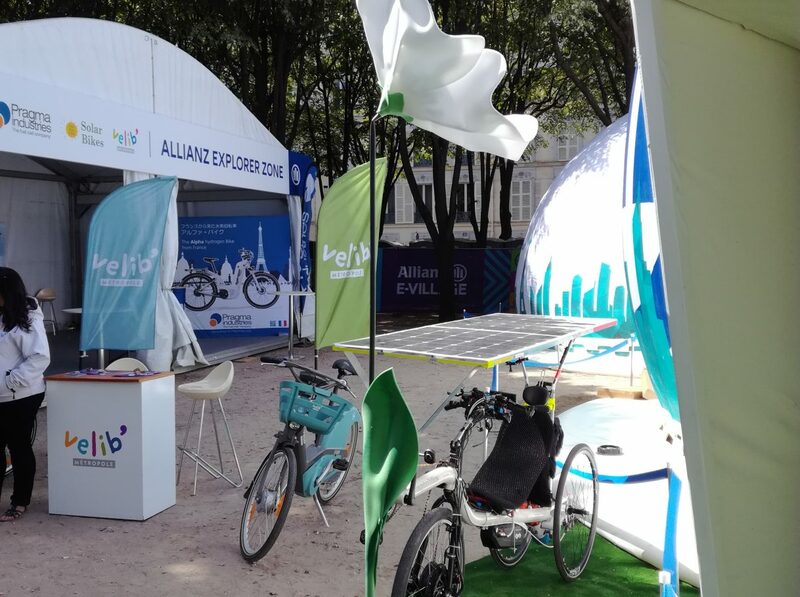 Here with “Velib” stand on our side, it was very popular! 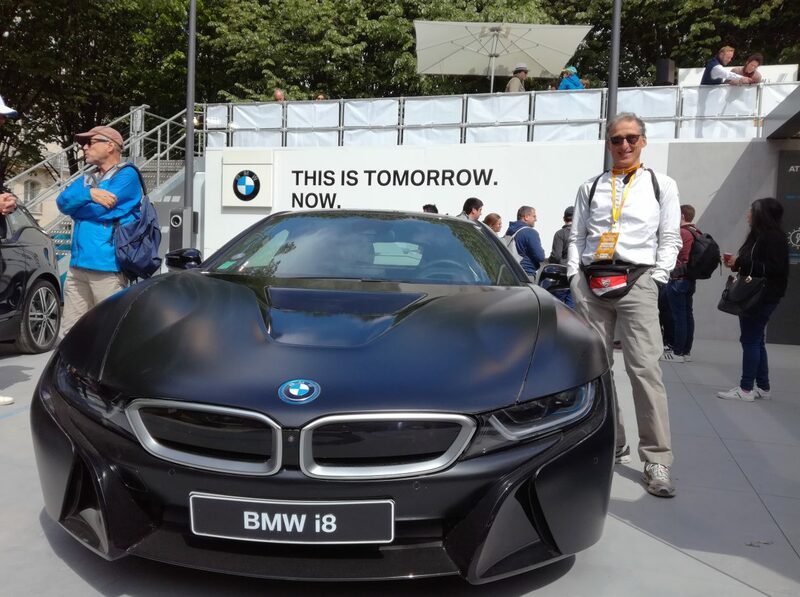 The BMW i8 is really nice…but may be “little bit too much”! ….and this is definitely faster than my solar trike! 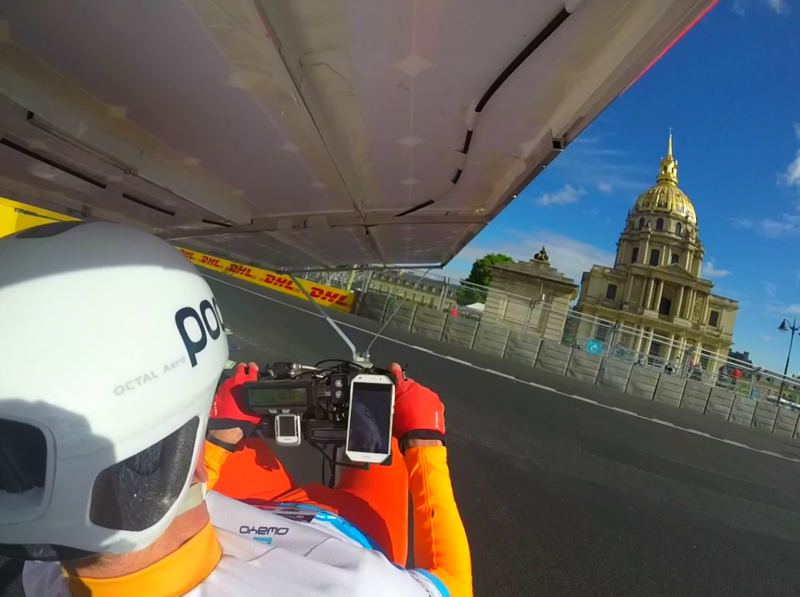 Fantastic to ride in the Formula E race track! 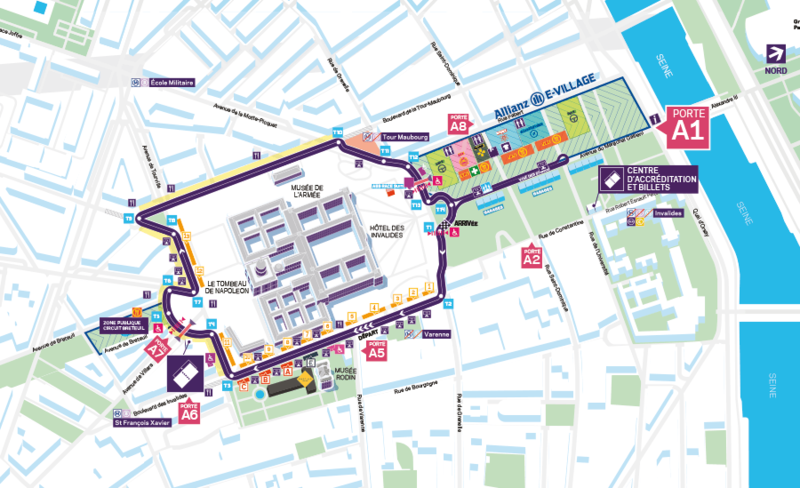 The best spot in the Formula E circuit ! ….it was really crowdy, also fathers and children were having a lot of fun! last tour with the officials waiving their flags! 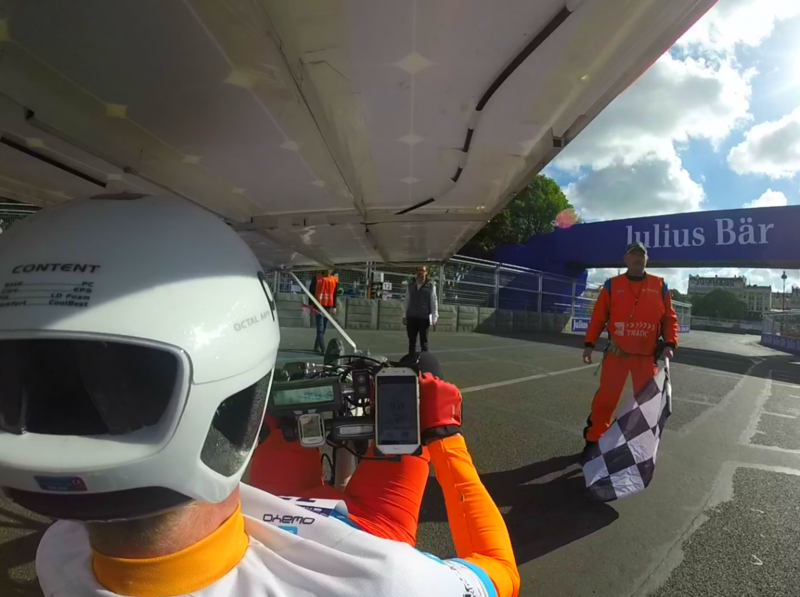 Every fun game soon or later comes to an end…..
On the race day we also had the chance to participate to the special event: ‘La piste aux parisiens’ (The track for Paris people’). 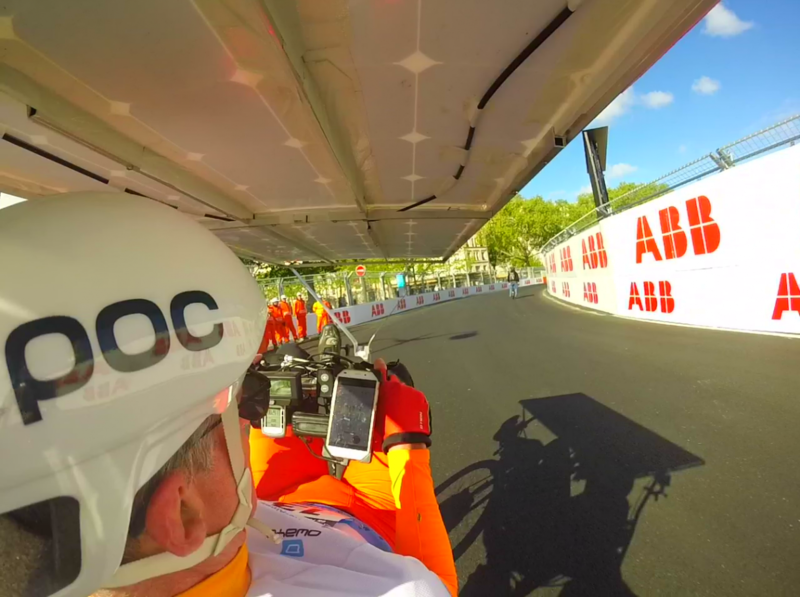 It was really a lot of fun to be able to ride with my solar bike in the race track. 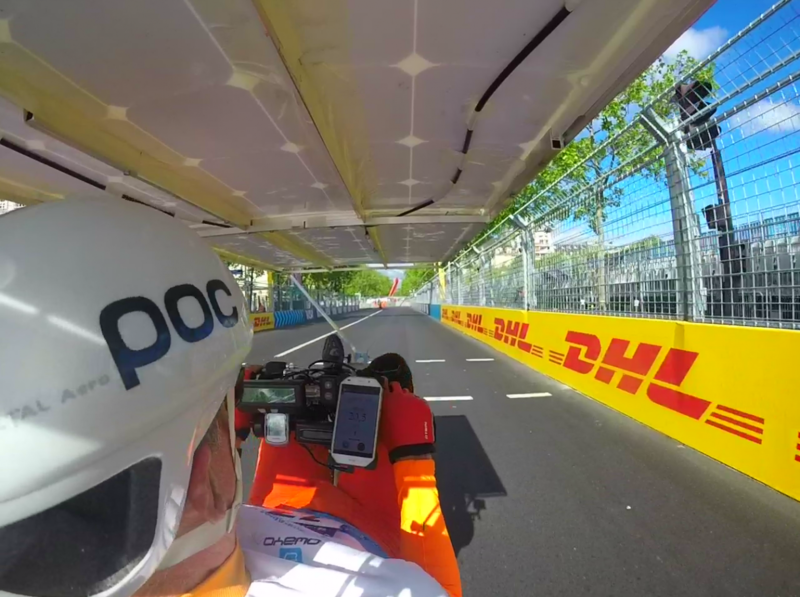 It was definitely amazing how narrow it was, I could not imagine how they could drive their electric race cars at speed above 200km/h in such a circuit….